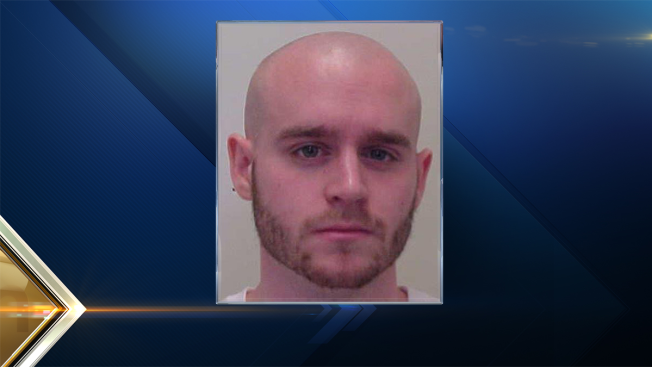 Police in Laconia, New Hampshire, have issued a warrant for the arrest of Robert Audette. Police in Laconia, New Hampshire, have issued an arrest warrant for the man who allegedly caused a police standoff on Tuesday afternoon. Robert Audette, 26, is wanted on a felony criminal threatening charge. Laconia Police allege that Audette threatened a male individual on Tuesday morning, leading to the police event on Jewett Street. Laconia Police ordered people in the area of 20 Jewett St. to shelter-in-place on Tuesday afternoon after receiving a report of a man threatening another man with a firearm. Several area schools were also placed on lockdown. When they arrived at the scene, police found the victim, who told them the suspect was still in the apartment. After several hours, a woman eventually came out of the apartment and was detained by detectives as other officers entered the building, finding no one. A shotgun and several rounds of ammunition were found inside the apartment. Anyone who knows of Audette's whereabouts is asked to call 911 or Laconia Police at 603-524-5252.